When ghosts appear in Sakura's house she commissions Rinne to find out what's going on. Rinne's on cloud nine at the thought of going to Sakura's house, but when Jumonji and Ageha barge in on them, will the investigation grind to a halt? 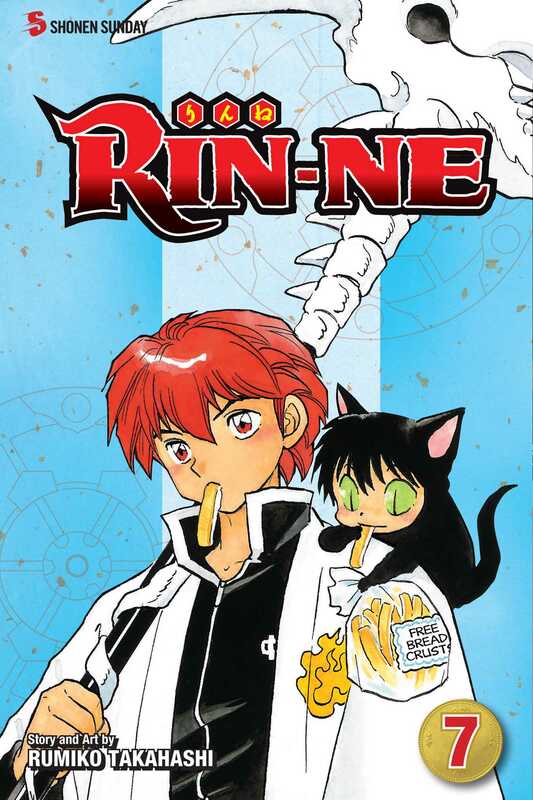 Ghostly cats, curses and haunted festivals... With all this trouble, Rinne's definitely got his hands full! Rumiko Takahashi's career began in 1978 when she won an honourable mention in Shogakukan's annual New Comic Artist Contest for Those Selfish Aliens. Later that same year, her boy-meets-alien comedy series, Urusei Yatsura, was serialized in Weekly Shonen Sunday. Takahashi won the prestigious Shogakukan Manga Award twice in her career, once for Urusei Yatsura in 1981 and the second time for Inuyasha in 2002. A majority of the Takahashi canon has been adapted into other media such as anime, live-action TV series, and film.